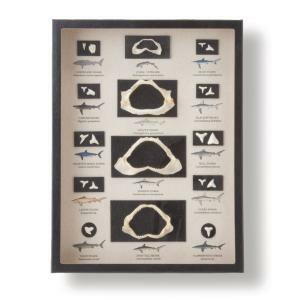 Compare the diversity of teeth among 14 shark species. 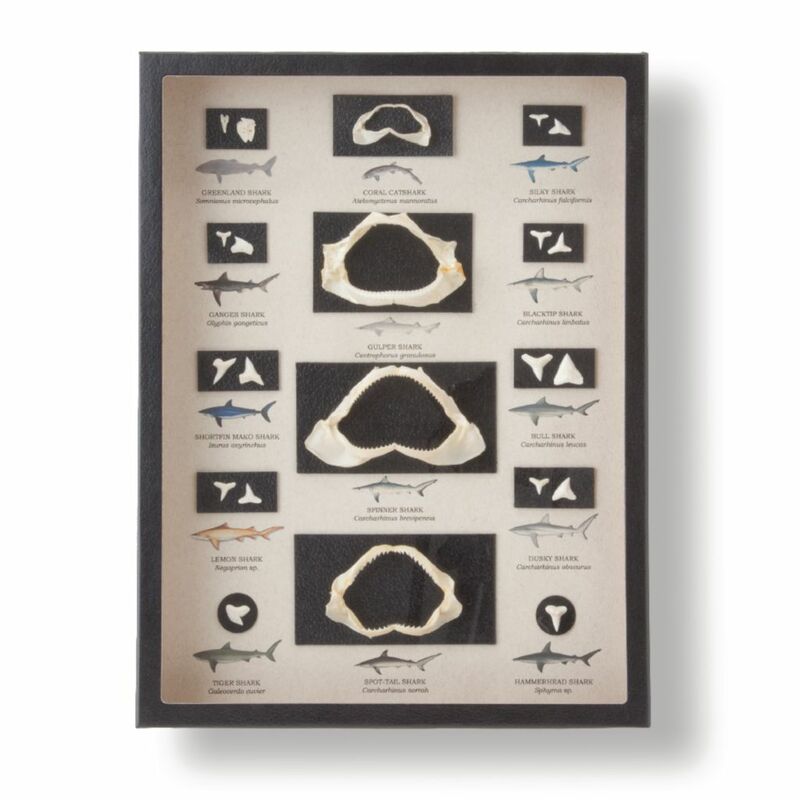 This diverse collection covers 14 species of sharks from around the world. From the small coral catshark, often kept in aquaria, to the large dusky and tiger sharks, known to be apex predators, their teeth can tell you a lot about their habits. From feeding on slow-moving invertebrates, to hunting other species of sharks, these cartilaginous fishes fill a variety of predatory niches.